On 2nd-3rd April 2016, Study Program Marine Science Faculty of Fisheries and Marine Science held an event named “Megalodon”. This 2 days and 1 night event placed in Sendang Biru Beach is a top event of several other events that is Pra-Masalembo dan Masalembo. This events intended for New Students Marine Science 2015 which aim to make them to familiarize themselves with each other to fellow freshman, also to introduce freshman to the senior / alumni of Marine Science. This “Megalodon” event having theme Survival and Outbound. 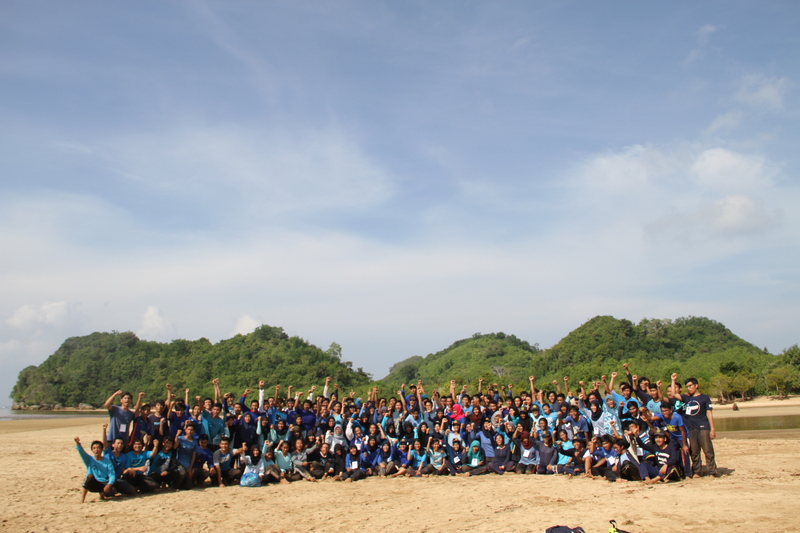 This “Megalodon” Top Event attended by all senior, study group Marine Science, lecturer, also alumni who already work. In contrast to the previous event that is Masalembo 2-3 which only attended by some representation. 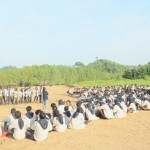 There are many benefit of this event, such as make freshman more close and familiar with each other, freshman also can familiar with their senior, more increase the awareness of each other, and because this event has some series it can be ascertained from some series itself can increase the level of compactness. Impression of this year event according to Betrix as CO Event that is event this year more success than the previous year, of course with the achieved targets and the event that is in accordance with the the,e that is at Marine Science could find a future as wide as ocean. “We also have a moto which make us more passion to get to know each other that is Closer than Siblings, Greater Than Family.” Said Betrix.